Ordinarily, a film score ejecting a viewer’s consciousness out of the heart of a movie would be considered a failure on the part of the composer. Yet mere minutes into WORLD WAR Z, I found myself reflecting upon a film score that I had barely experienced in context. 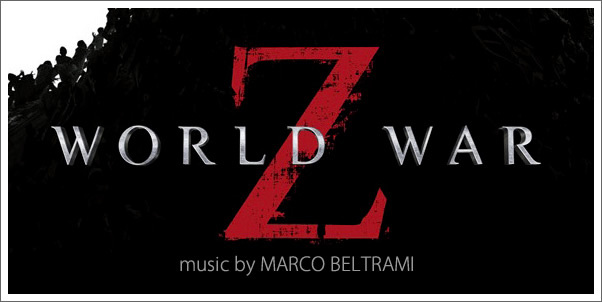 The first hour or so of WORLD WAR Z is as breathless a viewing experience as one could hope for, and MARCO BELTRAMI’S musical score mirrors the desperate horrors of a zombie apocalypse with terrifying accuracy. The score as heard in the film is so effective in accenting the desperate struggle of the characters and the fervent pacing and editing, that it becomes a struggle not to remove oneself from the experience momentarily, just to contemplate the barrage of sensory triggers.